More than 90 percent of the 106 players taking part in Super Bowl LIII between the New England Patriots and Los Angeles Rams were multisport athletes in high school, according to Tracking Football. Tracking Football for the last few years has released a breakdown of the big game, identifying which sports were favored most by Super Bowl participants. This year, it found that 68 percent of Rams players participated in track and field, while basketball (49 percent) was the most popular second sport for Patriots players. Overall, 92 percent of Patriots players participated in at least two sports, compared to 90 percent on the Rams. 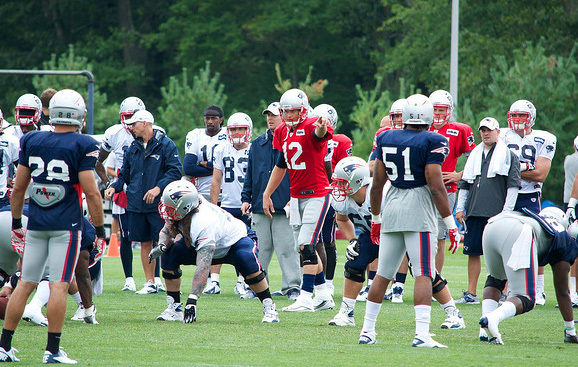 Last year, 96 percent of Patriots and Eagles players were multisport athletes. In our annual survey, multisport participation consistently ranks among the most concerning issues for coaches and athletic administrators. In our 2018 survey of high school coaches, a whopping 98.8 percent said they prefer that their athletes play more than one sport. Just last month, The Boston Globe ran a great column quoting several Patriots players who talked about the benefits they saw from playing multiple sports. Quarterback Tom Brady, who played baseball and basketball in addition to football, noted the burnout factor that comes with specialization. Tracking Football offered a wealth of information about the players from Sunday’s game. Learn more at its website.